Hi guys! 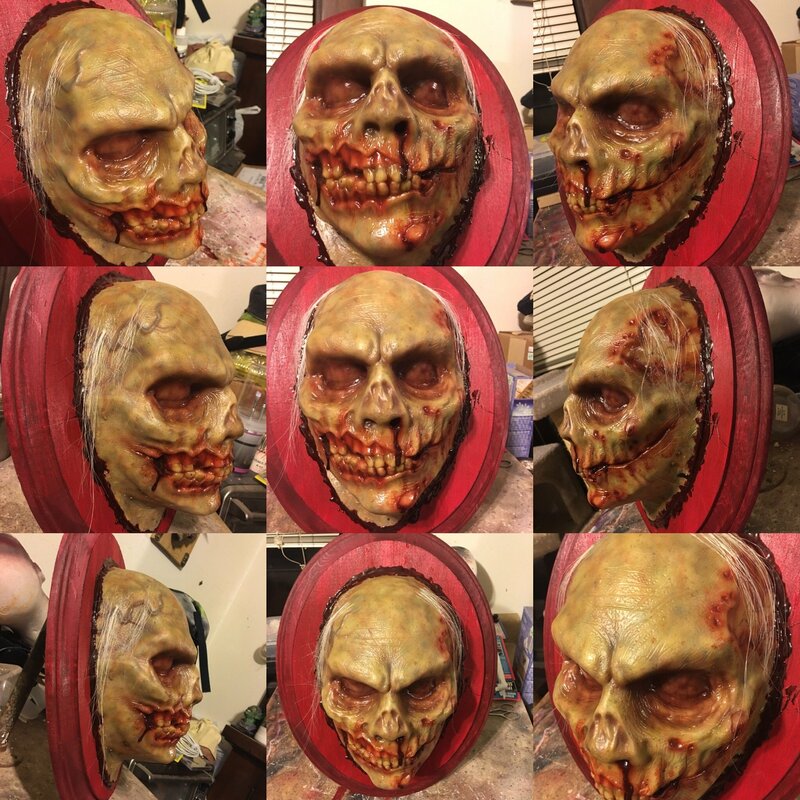 My name is Joe Humpston (although some might already know me from YouTube as Dinoman217) I'm 21 years young, and I'm an American Special Effects artist from Charleston SC. I've been doing special effects for YouTube since I was in High School! At age sixteen, I watched the 1984 Sci-Fi classic "The Terminator" on NETFLIX. I saw it, and I was inspired to do a number of special effects tests in my own time! One of the first big special effects tests that I did was I fabricated Captain America shield from a used satellite dish. (You can click here to see it) In this thread you can tell me a bit about yourselves. When did you start doing Special Effects, what was your inspiration for doing it, and what was the first effect that you ever did? Welcome to our community! I'll make sure and check out your YouTube channel. Terminator is a great and inspiring film. I was first inspired at a far-too-young age by slasher films like "Sleepaway Camp," "Friday The 13th," and "Nightmare on Elm Street." But films like Videodrome, The Thing, Predator, and Jurassic Park really got me hooked. I also got ahold of a VHS tape called "This Is Horror" aka "From the archives of Stephen King's World of Horror - This is Horror" which is packed full of amazing behind the scenes footage of special effects artists from a wide variety of projects. You can find a bit more info about the VHS here. My other big influence was Fangoria magazine. My first full effects makeup was Freddy from "Nightmare on Elm Street," when I was around 10. Hello Chris and Joe I'm very new to the scene as well but since I grew up in the mid 80s early 90s there was plenty to inspire me. I had always wanted to try my hand at sculptures and mask making or anything creative. I had become a tattoo artist full time back in 97 and just stuck with that until the last 2 1/2 years I've finally started what I really wanted to do :-) MInd you I am still a tattoo artist, I've been making latex masks and props as a hobby. I joined sws yesterday to learn more to get better. Here is one of my most recent works and I'm open for suggestions and criticisms. Thanks again. Uff this is great !! Classic and great details on it, your doing it awesome! Thanks guys :-) always trying to learn I hope to be half as good as some of the people on here someday. Ah! Good ol' Jim Henson! Not the worst way to get inspiration! I mean, I like the animatronics he made for movies like Labyrinth, Neverending Story, and the Teenage Mutant Ninja Turtles (1990). Welcome Blake! Jim Henson's Creature Shop Challenge was a great show, I really wish it would return. Hope you can share some of your work with us here! Christine Ramirez Nice! Keep it going! What was your inspiration for doing special effects?